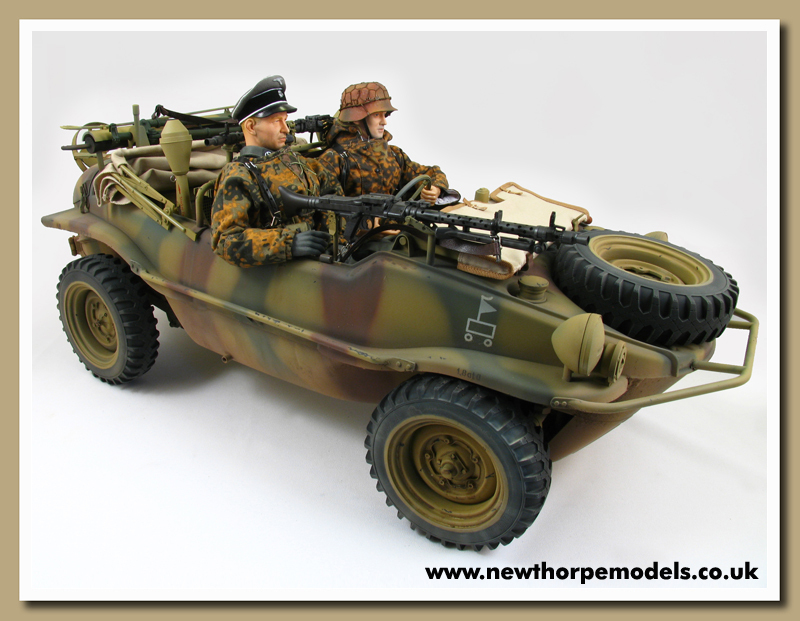 Dragons Models Limited have recently released the first accurate 1/6th scale Type 166 Schwimmwagen. 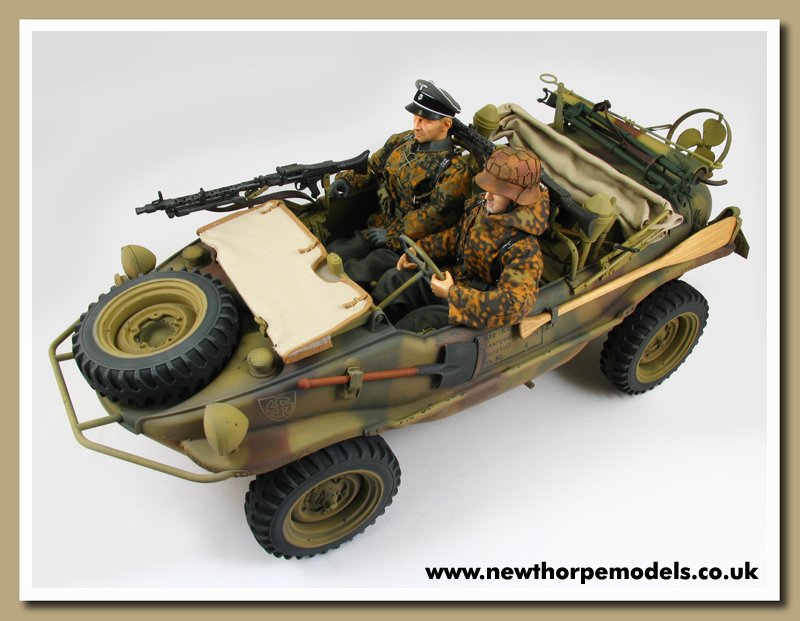 This page will highlight this model plus give an over view of some of the exciting "super detailed" accessories available from the various customizers around the world. The rear number plate is another welcome upgrade and adds a great finishing touch to the whole model, various numbers are available. By using only authentic materials in the construction of these parts, it enables the modeller to age and weather the parts in the same manner as the full size components. 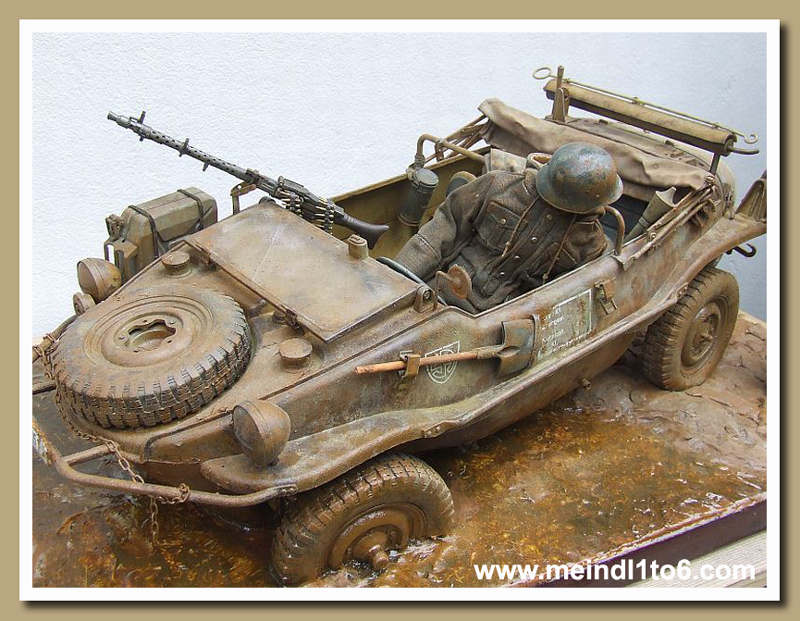 Metal parts can painted or "Gun Blued" and wood can be correctly stained. 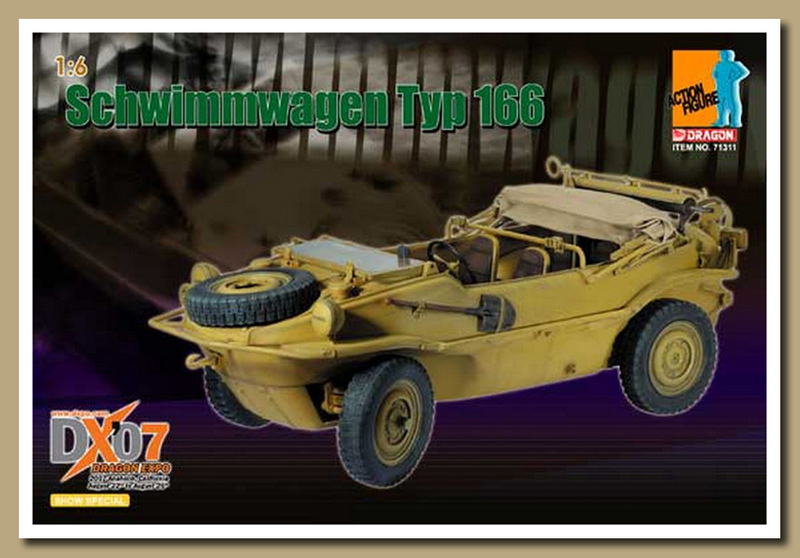 Dragon first released the Schwimmwagen as a Dragon Expo 07 Show Exclusive in the States, Item No. 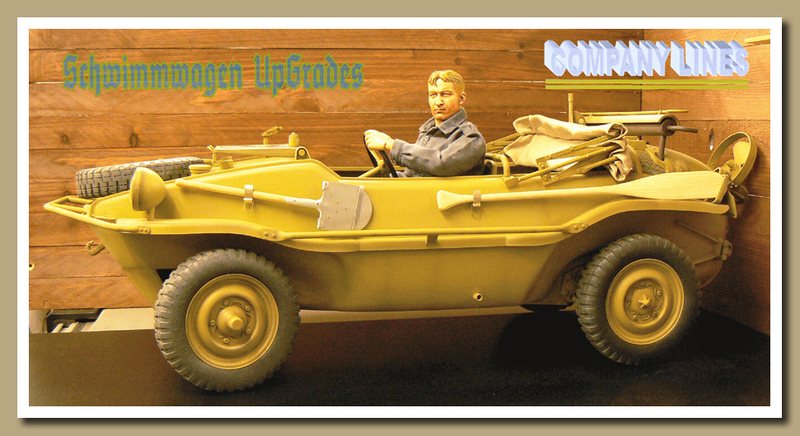 71311 included a free upgrade kit which came with the oar and VW 4 cylinder engine. 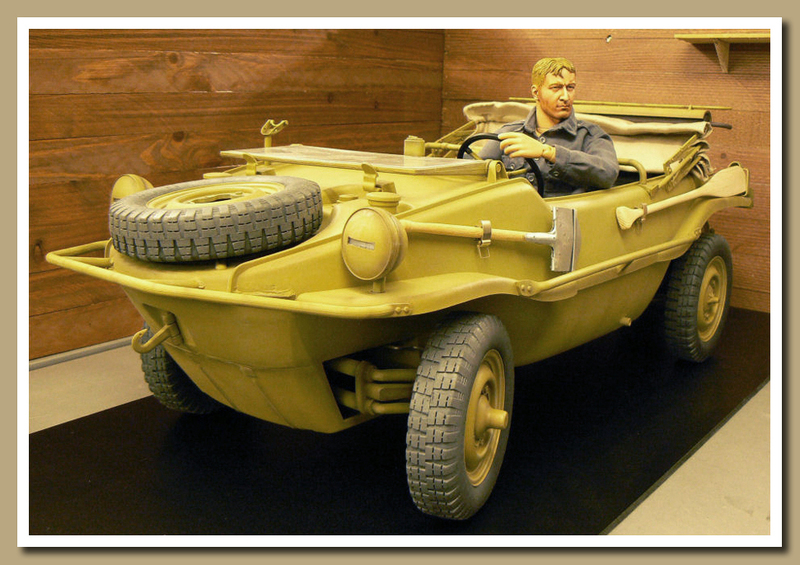 The overall colour scheme was Dunkelgelb (Tan). If it's scale accuracy you're after then this is the only way to go, all parts are fully functional as per their full size counterparts. 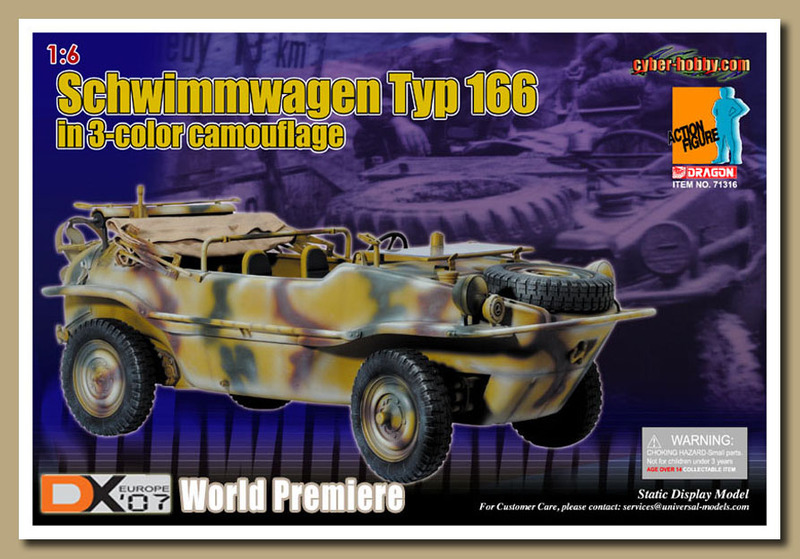 The 2nd Schwimmwagen release came about at the Euro Dragon Expo 07, held annually at Folkestone, England. 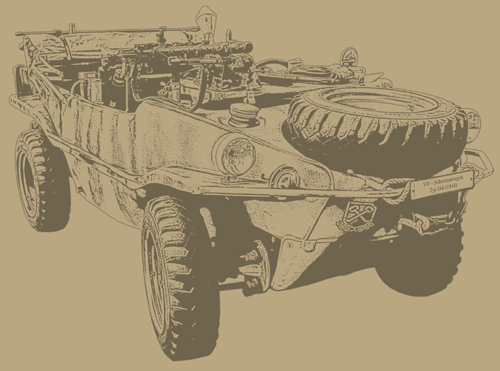 The colour of this release was a winterized 3 colour camo scheme as per an Ardennes offensive vehicle of 1944. 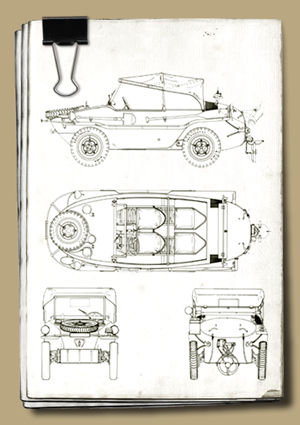 Tim Catton who runs Company Lines has released the first batch of upgrade parts for the Dragon Schwimmwagen which includes the Oar, Shovel, Spring Clips and Number Plates. 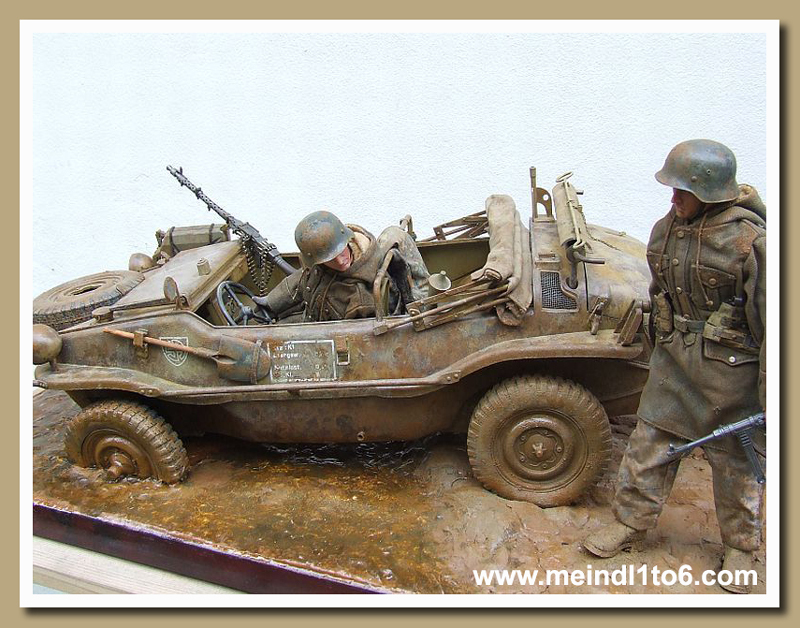 Tim's parts are of the highest detail accuracy and constructed from real wood and metal. This is a great replacement for the plastic oar supplied in the kit, constructed from real wood and with all the dimensions scaled off a genuine oar, you couldn't ask for better. 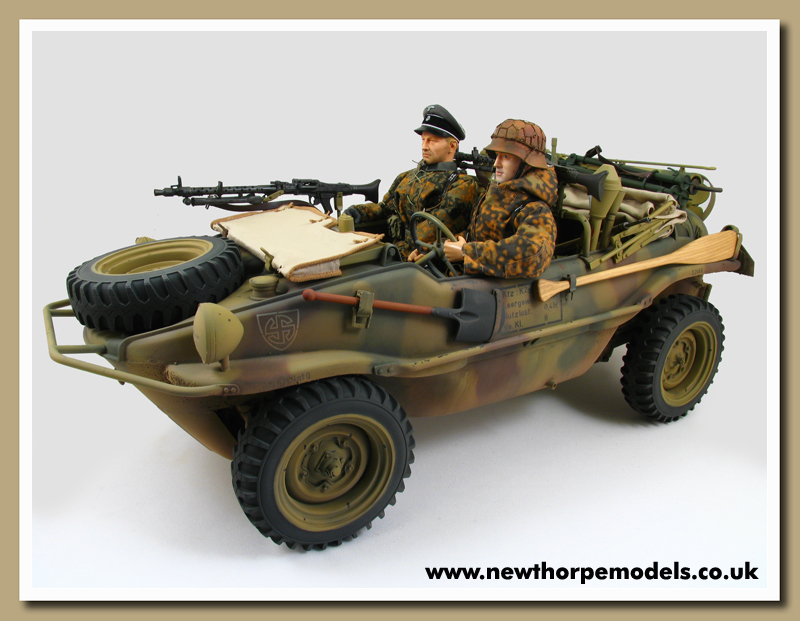 Wherever possible, Tim constructs all his parts from the same material as the original they represent, this release is a little gem and accurately depicts a German wartime issued shovel, which was a common feature on most soft skin vehicles and AFV's of that period. The front number plate is not included with the kit supplied so this is a welcome addition, pre-painted and made from metal, it's just a case of fitting the plate to the front nudge bar with a couple of small fasteners and it's done - simple. Working Metal Spring Clip & Shovel Head Support. 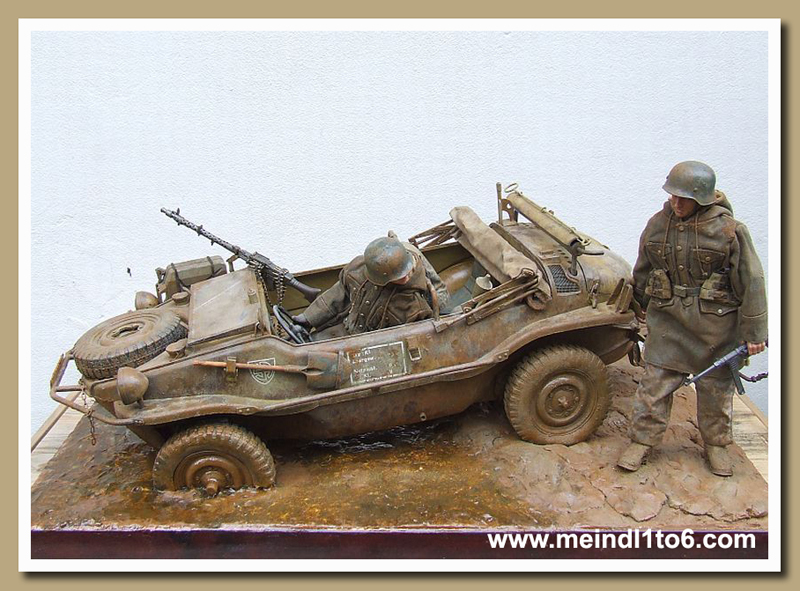 Here's a perfect example of the type of modelling which can be achieved in 1/6th scale these days, this diorama is perfectly executed by Oliver Englinski. 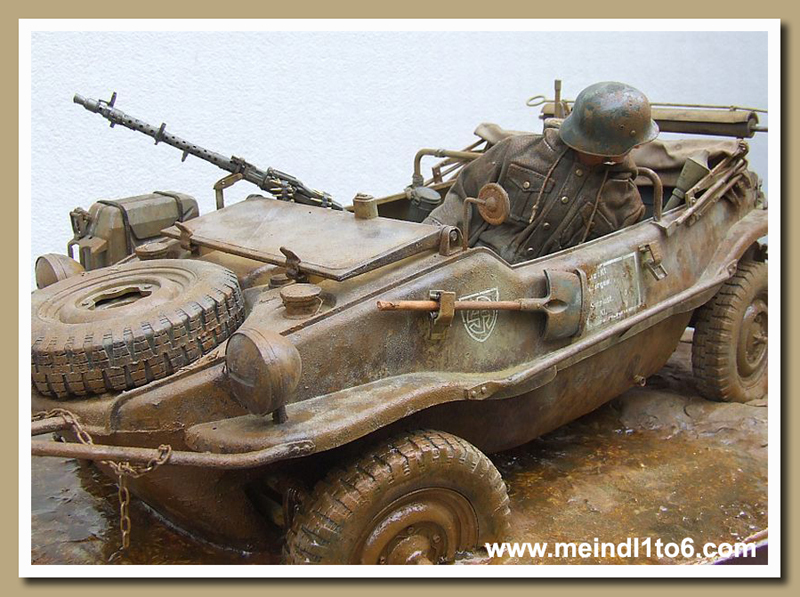 The scene shows just the types of conditions the diminutive Schwimmwagen was called upon to operate in, on a daily basis. 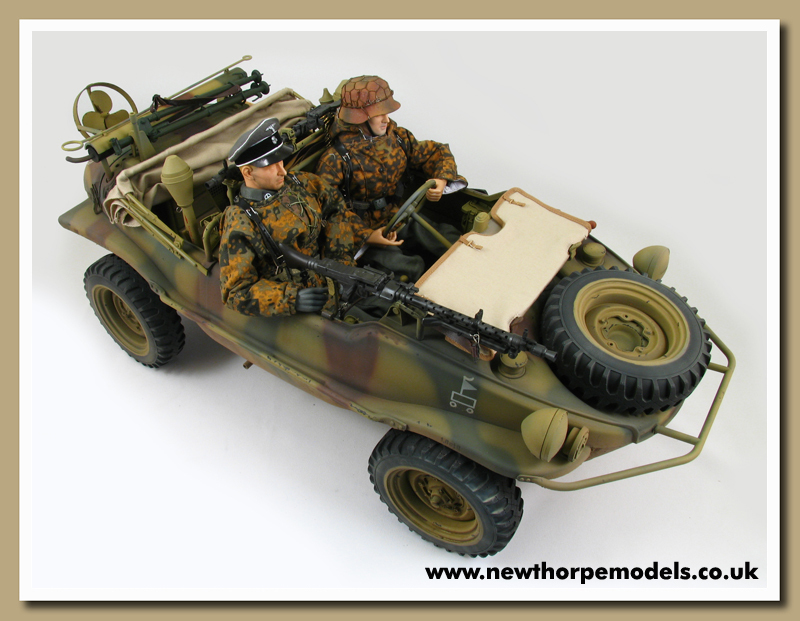 Lee Sellers has posted me some images of his newly painted Dragon Schwimmwagen and kindly let me host the images on our website.